Sorry for the lack of posts lately! It seems I have a million projects on the to-do list, yet we’ve been spending all our free time out of town! 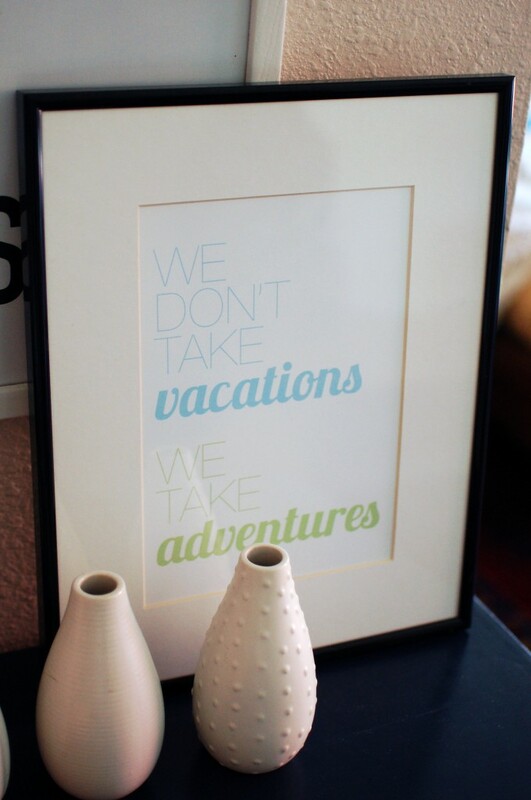 Speaking of traveling, we’ve added this new print to our collection: “We don’t take vacations, we take adventures.” Greg came to this conclusion in Charleston, as I begged to go back to the hotel room for a shower and nap. As a reward for his patience (and as a birthday gift), he now has his motto in print. i really like how that came out. and it is true about your vacations! I love that quote! and print!